Many parents are no strangers to the dreaded afterschool meltdown. The temper tantrums, fighting, uncontrollable crying, emotional exhaustion, refusal to follow directions, and physical outbursts that follow a hectic school day can be exhausting for everyone involved. This can be especially true for those parents with children who are in their first year of school, are on the Autism Spectrum, have learning difficulties or are highly sensitive by nature. It’s 3pm and you pick up your child from school. They greet you with a smile on their face and after speaking with their teacher, you find out that they have been the perfect student all day long. They followed directions, sat quietly during circle time, put their hand up to speak and were extremely courteous to their teacher and friends. Fast forward to 3:30pm and your child is squabbling with their siblings, refusing to get changed into their gymnastics outfit, crying uncontrollably, and throwing the afterschool snack on the floor because it was put on the wrong colour plate. What happened to that sweet, perfect student? And who is this monster you see before your very eyes? The afterschool meltdown or rapid downward spiral can manifest itself in many ways. 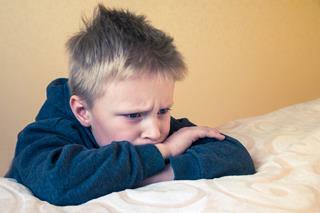 While some children completely explode, other children become withdrawn and moody, or the meltdown is delayed and doesn’t present itself until bedtime. Understandably, parents become completely confused as to why there is such a major dissonance between what the teacher says and how their child acts once they get home. Play by the rules in which they must stay in designated areas, only run on grass, can’t touch other children, or climb on everything they may want to. The self-regulation required to maintain composure over a full school day can be both emotionally and physically draining to young children. This self-regulation requires them to understand and manage their own behaviours by controlling both their impulses and their emotions. There are so many impulsive actions and words, that a child wants to do and say over the course of a school day but refrained themselves instead. Additionally, there are also so many mixed emotions they felt, but didn’t let out. They wanted to cry when a classmate laughed at their drawing, yell out an answer during class, eat their lunch at 9:30, make a house out of unifix cubes instead of using them for counting, climb the trees at recess, and most of all they wanted to lay down when they were supposed to be sitting up. Basically, by the time they meet their parents at the end of the school day, they don’t have any emotional energy left in the tank. All the energy that they did have was used up by being ‘good’ all day and now they are completely and utterly exhausted. Parents are always enthusiastic to hear how their child’s day went at school, but timing is everything! They have just spent a full day at school, and now they are being drilled for more information and expected to answer question after question. Sometimes that’s all just too much. Find the time that works best for your child, it doesn’t always have to be as soon as you see them. Let them unwind first and wait until they are ready to talk. Most children are generally ravenous by the time they get home from school. Sometimes they have been so engrossed in playing that they have forgotten to eat their lunch. Don’t be afraid to give them their full dinner as early as 3:30 or 4:00. You will be surprised by how much their demeaner can change after a full meal. It doesn’t have to affect the family dinner either – they can still eat a bowl of porridge or fruit salad when the family sits down to dinner at a later time. Having water run over the body or being submerged in a tub full of water, can have a calming effect on any child who is in the most negative mood imaginable. There are no set rules about what time they should have a bath, so if it works, why not do it? After a long day at school, some children just need to rest, while others need to move and burn off some energy. Everyone is different, so find out what works for your child. If they need rest, organise some quiet time on the couch with a book or a puzzle. If they need to move, stop at the park or beach to let them run around freely. If you have busy afternoons and weekends where you are rushing from one activity to the next, it may be time to reconsider whether they are worth pursuing right now. The rushing and busyness of additional activities can often add an extra burden to an already overstretched and overstimulated child. 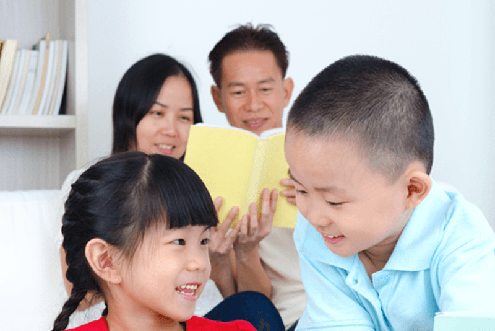 Sometimes a one-on-one connection activity with a parent or loved one, is all that is needed to fill up the emotional tank again. A ten-minute quiet game with no phone, screens or interruptions can be something you both look forward to when getting home from school. Play and laughter are an amazing way to help release pent up emotions. Even though they have playtime at school, it is still bound by rules, structure, and expectations. Find a place where they can run around freely, direct their own play, be creative, and most importantly be themselves. Taking care of our mental health is an important lesson for children to learn in relation to their overall physical health and emotional wellbeing. Everyone, even children sometimes experience feelings of being overwhelmed, exhausted or mentally and emotionally fatigued. Taking a day off, occasionally to acknowledge this can really help to rest, recover, and re-energise. 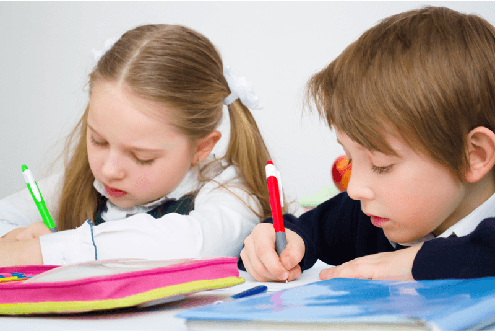 While it is normal for children to feel the need to release their emotions after the school day, there may also be something happening at school that is triggering the meltdowns. Talk to your child’s teacher to get a better picture of their day. If your child is unravelling immediately upon getting home, they are most likely internalising their feelings during the day and have just learnt to put off their reaction, rather than dealing with the problem when it occurs. Talk to your child about the things that have upset them during the day and how they can calm down and let it go while in the moment. Sometimes even after careful planning and gentle parenting, the meltdowns can still occur. Children at all stages of development can have bad days, be overwhelmed, over stimulated and emotionally exhausted after school. And what helps to calm one child, might not necessarily help to calm another; sometimes it is just a case of trial and error. The only certainty in early childhood however, is that children crave calmness, especially from their parents. If a child is in complete meltdown mode, the afternoon will always go much smoother if the parent keeps their cool and is the calm in their chaos. When parents get angry, it only adds to the child’s emotional turmoil, and there is no one left to help sooth their overstimulated nervous system or be the voice of reason for their little minds. Just like when the oxygen masks drop in an airline emergency, the parent must save themselves first, in order to save their child. During a meltdown crisis, you must calm yourself first, before you are fit to calm your child. It’s not always easy to be calm and composed in these situations, but sometimes that will be all you can do and sometimes that will be the only thing you can do.